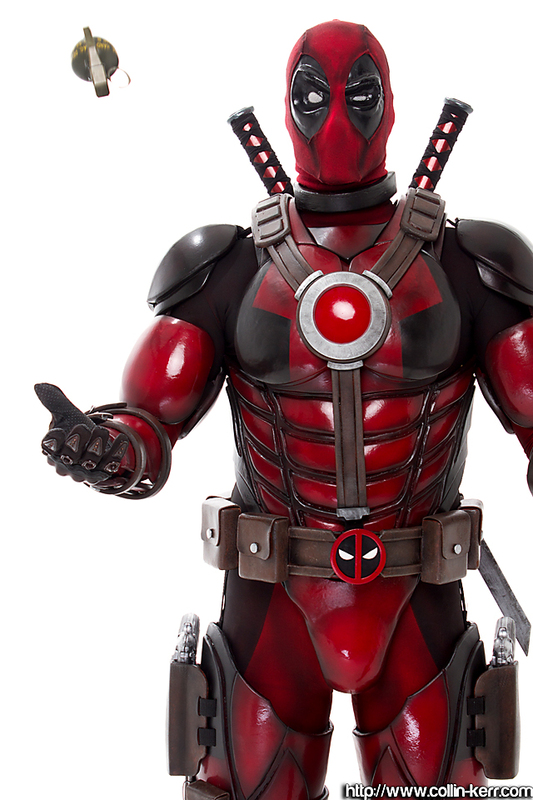 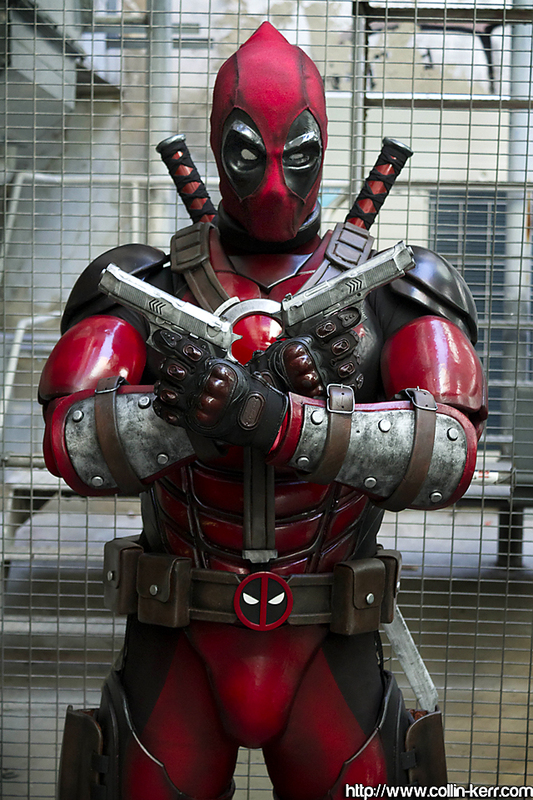 Deadpool the movie is coming this month (February 2016) and folks are excited! 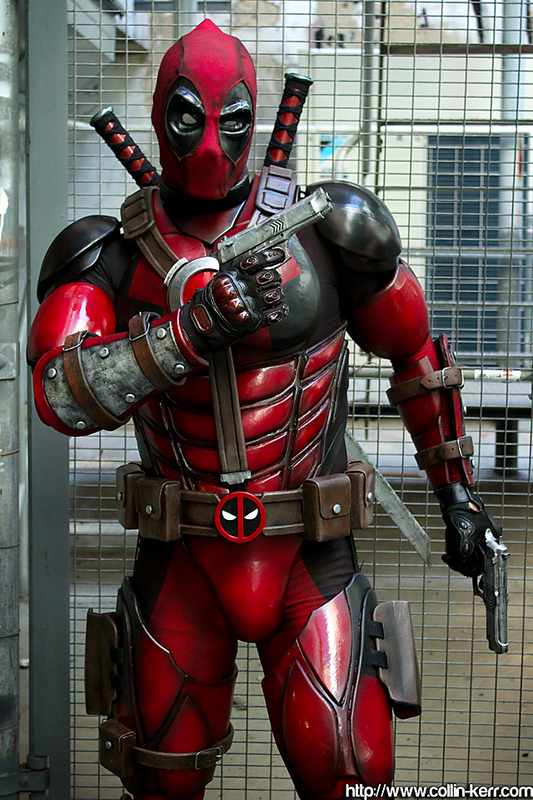 Ryan Reynolds looks like a hero, a guys guy who has the best Deadpool cosplay costume ever – or so we thought! 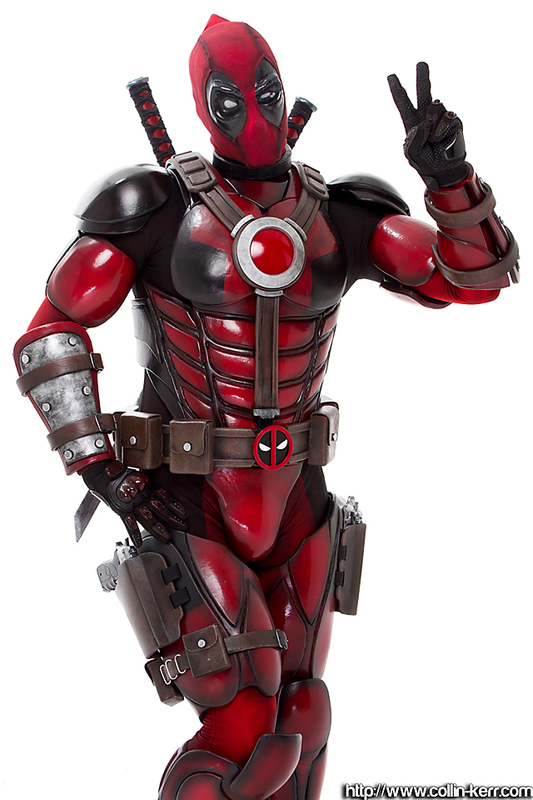 Dadpool Cosplay is a Costume creator, Prop-builder and Superhero Cosplayer who hails from Perth, Western Australia. 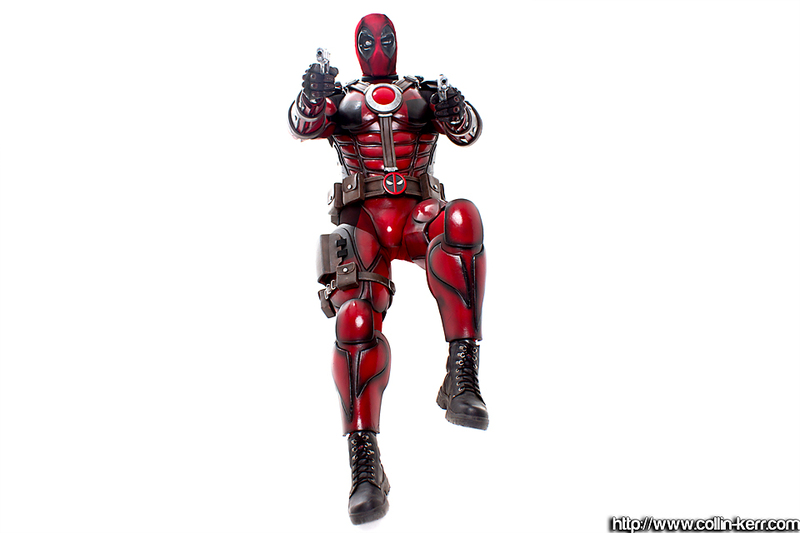 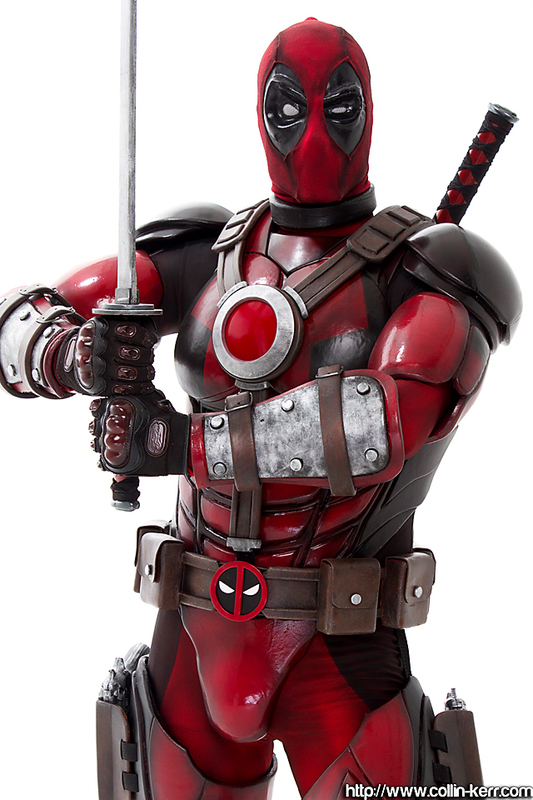 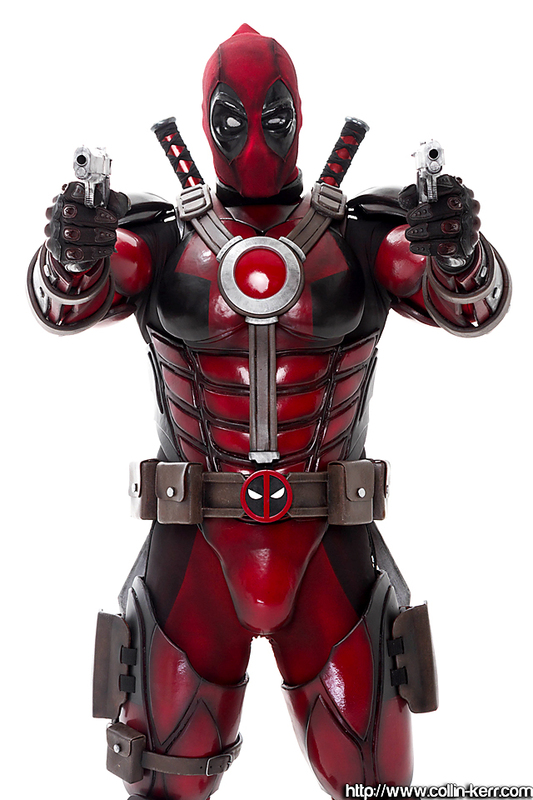 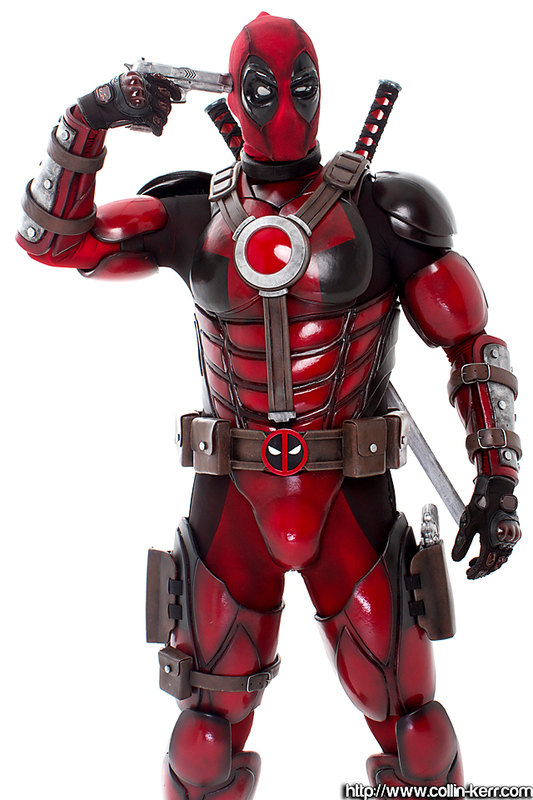 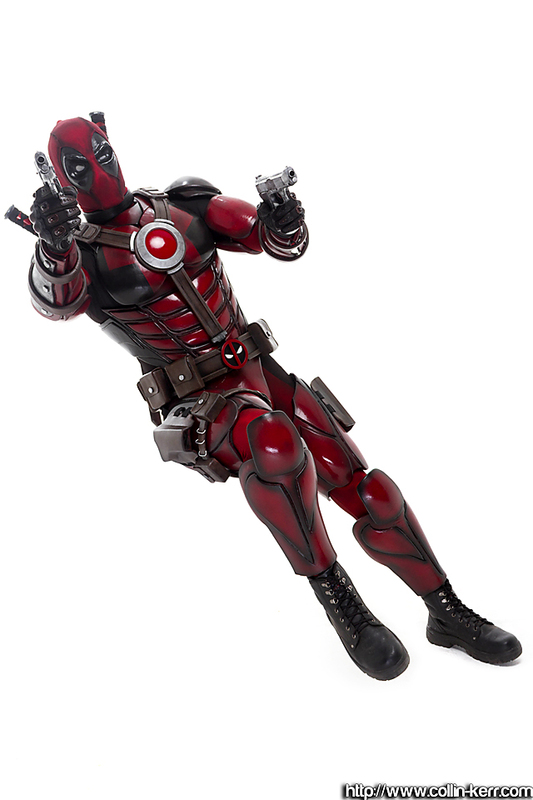 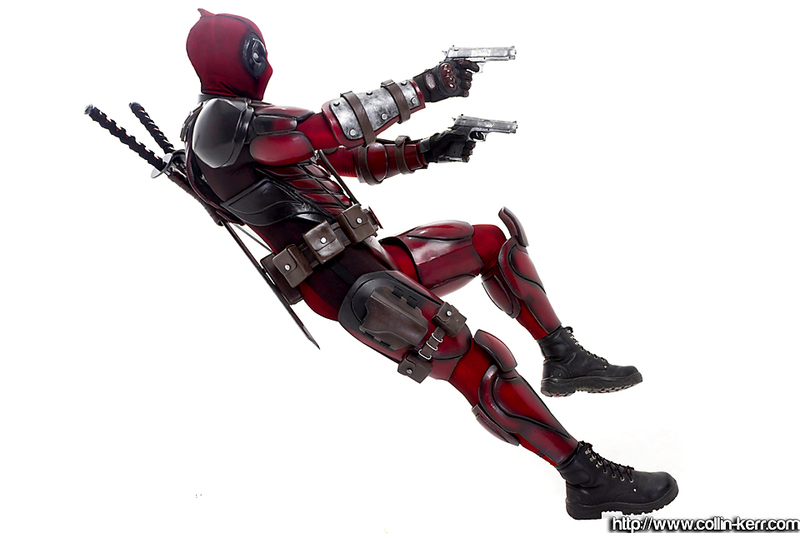 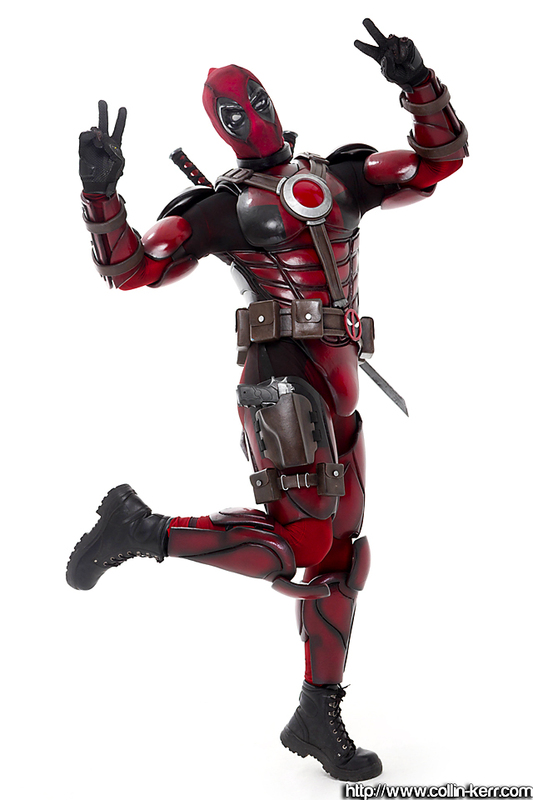 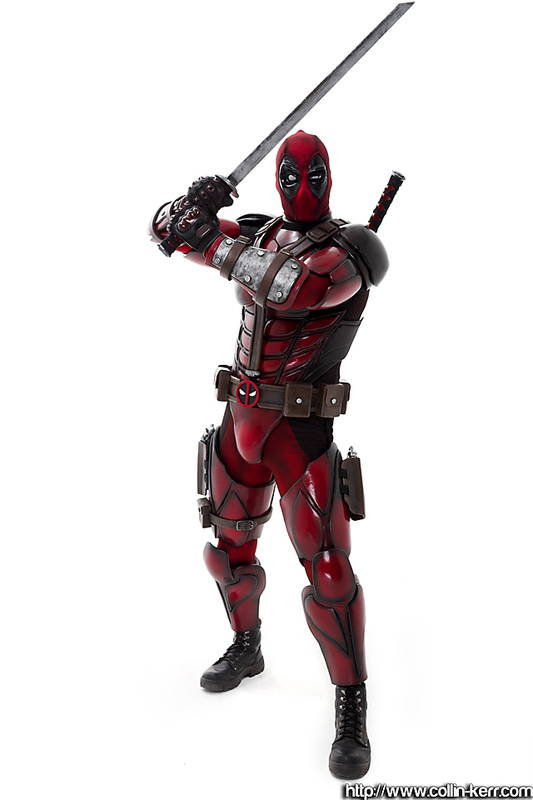 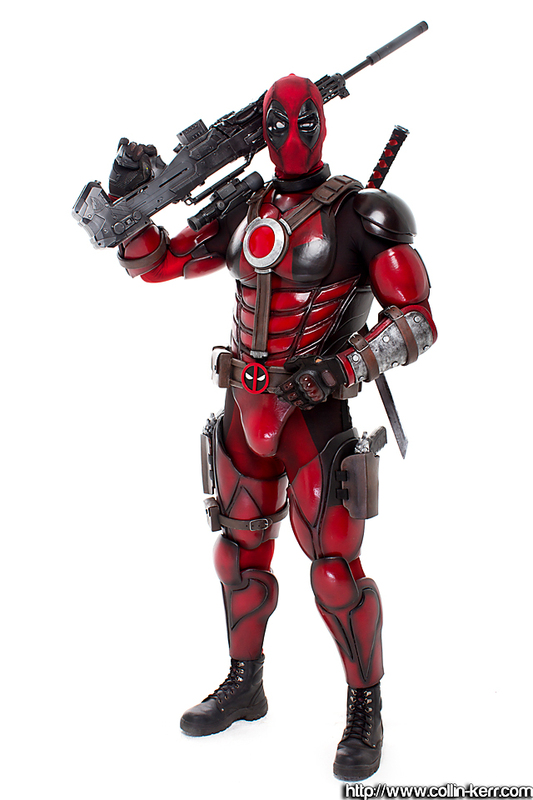 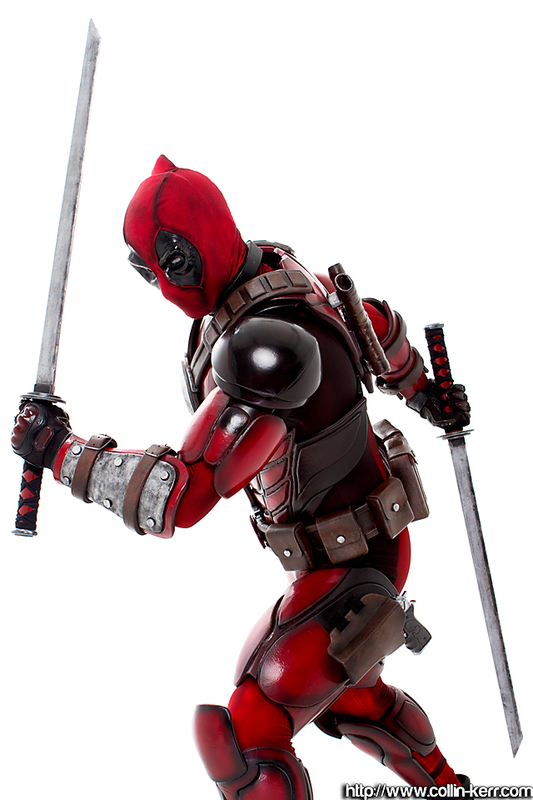 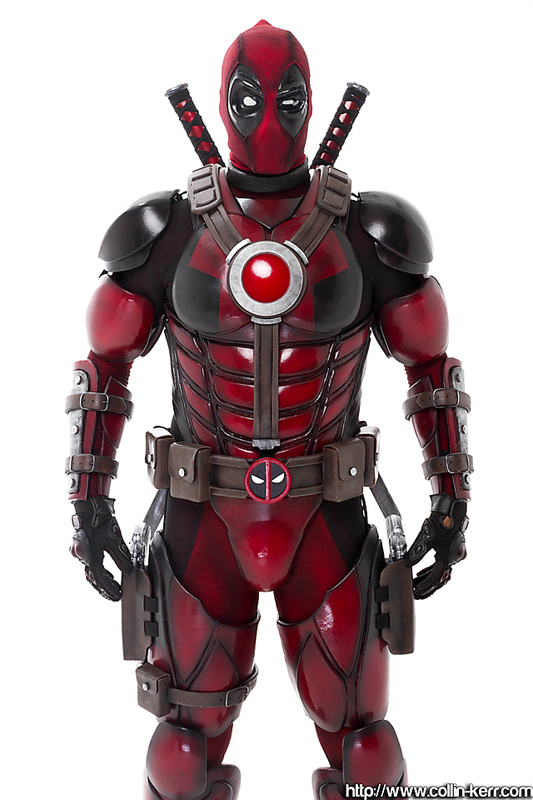 He has the best Deadpool costume sporting gorgeous painted armour – detailed swords with Deadpool chest and waist belts that look as though he leaped out of the comic books! 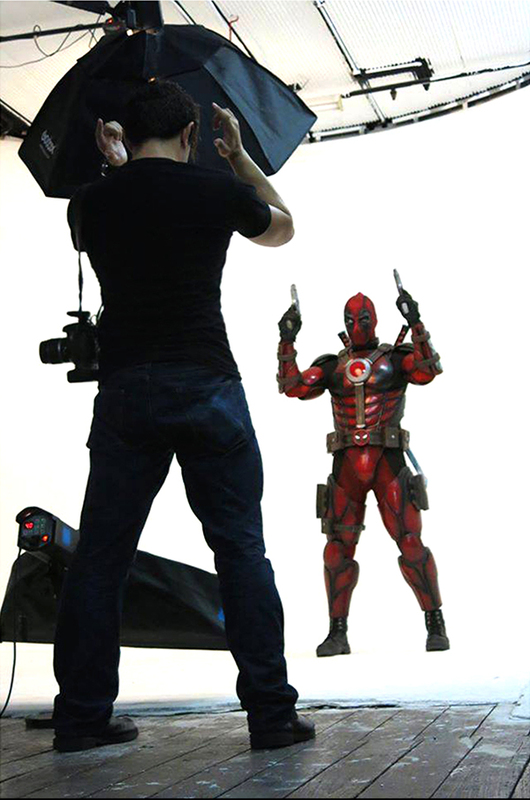 Behind the scenes shot of Dadpool Cosplay and Photographer, Collin Kerr! 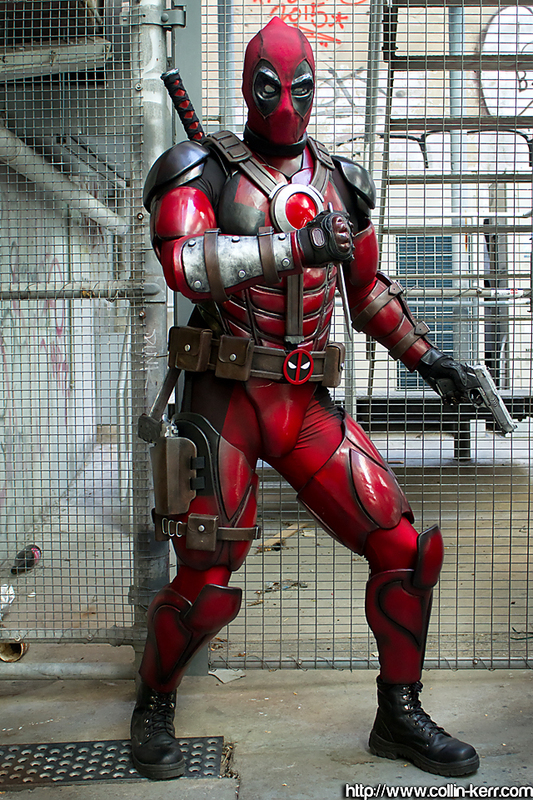 Picture taken by his fabulous wife and assistant, Casey G.
Built Freehand using 90% EVA foam, the creation process took Dadpool Cosplay approximately two months to build his costume in spare time and weekends. 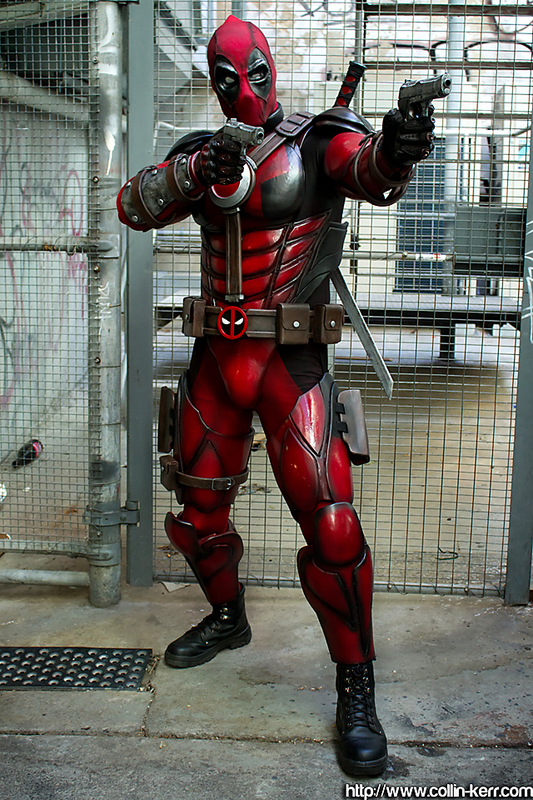 Armour, as well as Belts, pouches holsters and harness made from EVA. 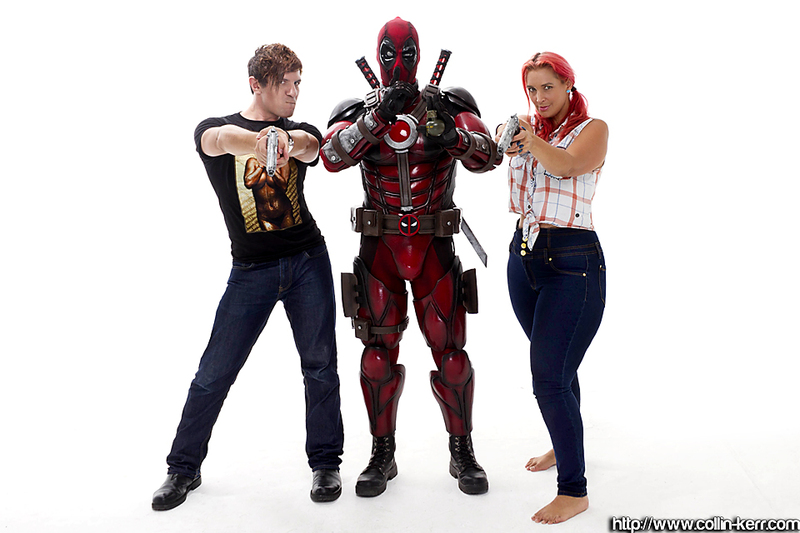 The photos were even featured in a beautifully written online blog, Comic Booked, and can be read here! 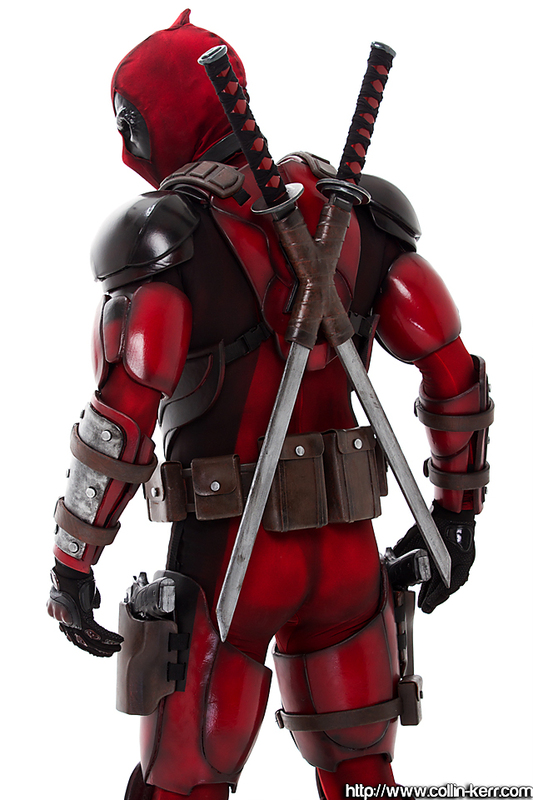 I am excited about this shoot, as the movie approaches closer to it’s release! 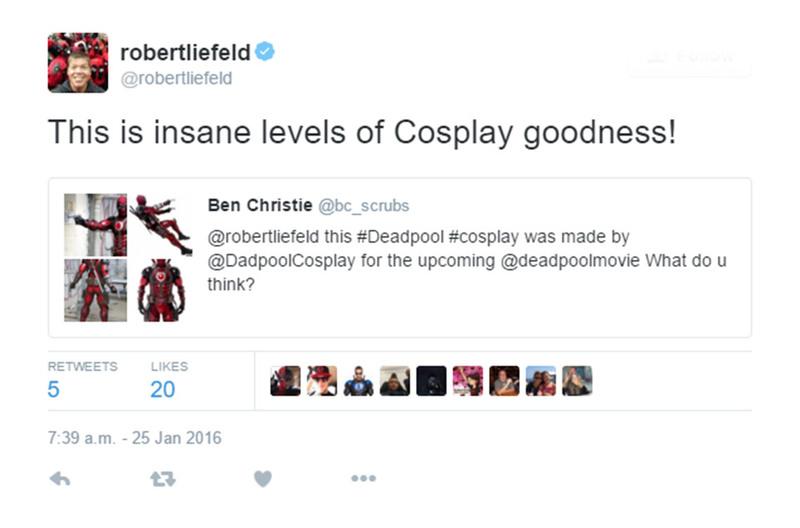 It’s been a little over a week since the photos were released online, and in that time the internet has been extremely positive – featured in blogs, and has even gone to the extent of being acknowledged by Deadpool Artist/Co-creator, Rob Liefield! 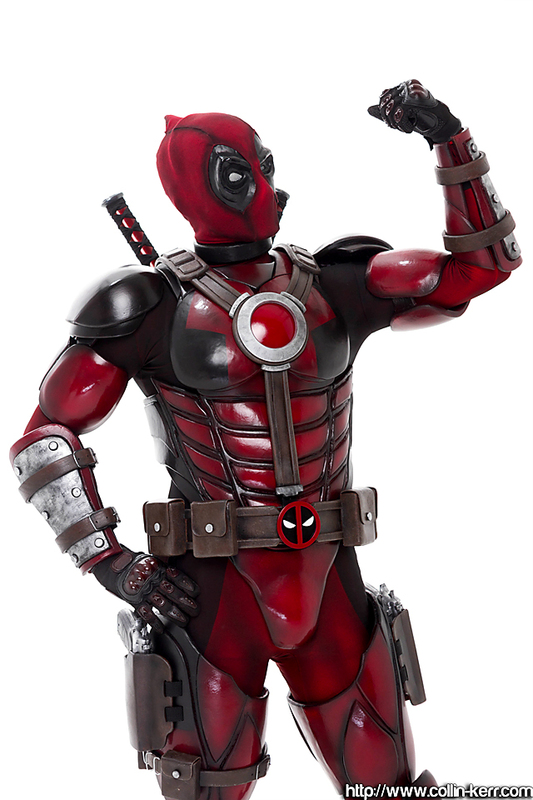 Haven’t seen Dadpool? 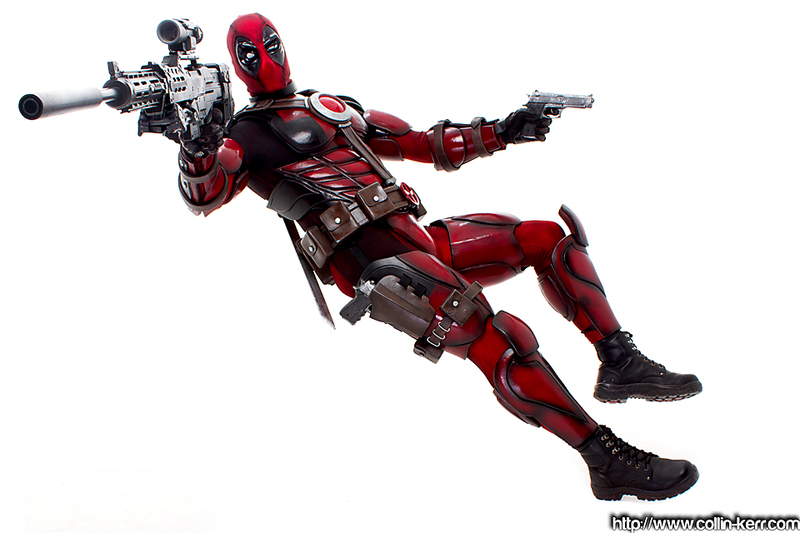 Follow his works on Facebook, Twitter, Instagram and YouTube !